Thick vegetation, deserted villages, isolated chapels and a relatively smooth morphology make trekking in Corfu ecpecially interesting. Rare wind flowers, Byzantine and Venetian buildings, “secret” lakes and tiny rivers will cross your way from your very first off-road journey“”. 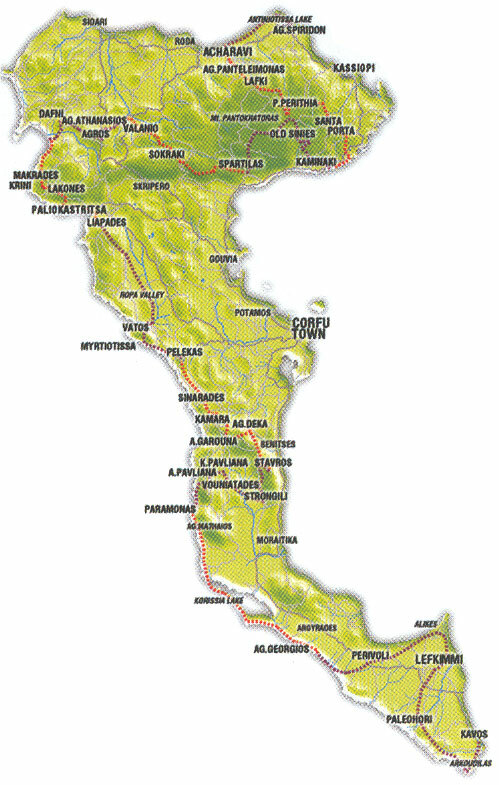 Several among the Municipalities of the island organise path networks with the necessary signals and resting points, thus supporting you on your trekking through the nature of Corfu.